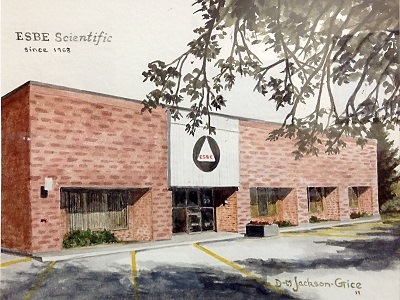 From its formation in 1968 as a clinical laboratory supply house serving the Southern Ontario market, ESBE Scientific has experienced consistent growth. By forming alliances with an increasing number of suppliers and by the acquisition of regional and national distributors, most notably the purchase of Ingram & Bell Scientific in 1994, ESBE Scientific has become one of the largest 100% Canadian owned distributors serving the clinical, research, industrial and biotechnology laboratory. ESBE is dedicated to providing quality products and professional service at competitive prices to the scientific community. It is with great pride and excitement that we present to you the new ESBE Scientific website. Featured are the fine products that have earned us our reputation as an essential provider of instruments and supplies to the Canadian laboratory. For four decades, ESBE Scientific has served the Canadian scientific community, bringing to it the latest innovation and technical advances available. As you browse through this site, you may be surprised by the diversity of our product offering. We pride ourselves on our ability to seek out those products that will best answer your needs. Technical expertise is only part of our equation for success. Customer Service that goes beyond the everyday expectation is just as important. Our goal is to serve you and we are confident that this website will help to accomplish this task. If you have comments or questions about any of the ESBE Scientific products, please feel free to contact our Customer Service Representatives or your local ESBE Scientific Territory Manager.